A couple of weeks back, while driving my way back home in the evening, I was waiting for the signal to turn green in the busy Trinity Junction in Bangalore. A couple of pedestrians were waiting for their signal to cross the road too, when a middle-aged guy with a huge bundle of pamphlets walked in to that place. He thrust a pamphlet in everybody’s hand, with no exception. He offered me one, I signaled him a ‘no’ and he went on to insert a pamphlet in my car’s wiper! I read what it was from my windshield – it was for some computer course with a promise of software jobs as soon as the course was over…that too in leading technology companies in India. The interesting thing to note here is that it was being handed over to people of all ages in that busy junction, regardless of whether it is appropriate for them or not. After this charade was over, the man started running across the junction…when everybody else was patiently and carefully waiting for the signal to cross! Isn’t it odd that both those acts are also being performed online in India, when it comes to Facebook page management? In the past 6 months alone, I have come across 7 proposals from oddly named ‘digital agencies’ that have a ‘cost per fan acquired’ commitment. 3 of these are from Bangalore, Chennai and Hyderabad, and 2 each, from Delhi and Mumbai. The ‘cost per fan acquired’ ranges from Rs. 7.50 to Rs. 13. One of the proposals even had a ‘your money back if we do not get the numbers committed’! I have been asked by some of my clients about our ‘cost of acquisition per fan’. As ridiculous as it may sound, I have always tried to explain the basics patiently – that we do not own or acquire fans in Facebook and that focusing on the bean counter of likes is a completely pointless exercise not worth anybody’s time. But I have also noticed that many of such questions start from the marketing department – we (as in a PR agency dealing with corporate communications department) get to hear stories about how the marketing team is pressurizing the communications team to up the numbers in their Facebook pages, particularly when the communications team has a head-start in social media initiatives within the organizations while the marketing team, with help from ad agencies is still scraping microsites and ‘viral’ videos. Marketing team’s focus stays on the numbers, as always, and communications guys, in a hurry to prove themselves, opt for one of the proposals mentioned above, because they promise numbers. The plan is usually similar across proposals – they commit to getting X fans within Y days, for Rs. Z. We have been asked for such proposals too and we have always flatly refused. And, after explaining and educating clients, we have also told them to go ahead try these agencies on their own will and risk – after all, everybody is entitled to make their own mistakes and learn. The modus operandi of such plans seem similar – they fall within the following 3 methods. Create a master page for the social media company based on the most popular theme in India – films/TV shows/film or TV personalities and flog that endlessly to get ‘likes’. When that becomes popular, use that as the base media to promote clients of all kinds. So, even if the client is a hotel chain, post information about the hotel chain in what is a film/TV show page and ask people to ‘like’ hotel chain’s page using gifts from the hotel client. The ‘agency’ hires an army of college kids for one single task – join as many Facebook pages or Groups and even popular communities outside Facebook, and cross-post the client’s Facebook page URL with a 2 line context…all over the place. Any number of ‘likes’ the client page gets is a bonus. Create fake Facebook profiles using college/school kids and get ‘them’ to like Facebook pages of clients. Actually, the 2nd method is a legitimate tactic, if we choose the right forum to cross-post, along with an appropriately worded context, but the 1st and 3rd tactics are as bogus and pointless as the traffic signal situation I explained in the beginning of this post. Imagine – if you equate the online happening with the traffic signal situation, tactic 1 would read like this: The middle-aged guy puts up a small roadside stall with pictures of film personalities to draw people’s attention. When they do walk up to him, he hands over his ‘computer course’ pamphlet to them. Tactic 3 would be…the middle-aged guy dumping all his pamphlet bundles in a garbage bin and informing his client that all of them have been individually handed over to people!! The focus is on mindless acquisition of ‘likes’, even as content and engagement is being handled at a rudimentary level. The kind of people ‘gathered’ is mostly utterly pointless and is the wrong target audience. It spoils client contacts given that it feeds their already ignorant need to add numbers to their efforts…and becomes a completely wrong example to follow. The fake Facebook profile menace seems to be a recent entrant in India and it is interesting that fake profiles are being used for very different purposes across India and other western countries. An October 2009 post on Read Write Web talks about fake Facebook profiles being used to infect visitors’ systems with virus. An older report from October 2008 refers to spammers and malware makers creating Facebook profiles to make people click on malicious site URLs. In India? Here, fake profiles are being created to satisfy greedy, ignorant client-side marketers who have only one thing in mind when it comes to ROI from Facebook – number of ‘likes’! Don’t believe me? Here are a few samples! There are common traits among the 6 samples above (click on the thumbnails to see the larger version) – there are many, many more, incidentally! Most of these fake profiles do not have a display photo. I do understand that since I’m not ‘friends’ with these characters I can see only limited information about them on their profile. Even taking that benefit of doubt into consideration, a simple check of the proportion of friends vs. likes would make it clear why these profiles exist! This is a menace that has to stop since it topples the level playing field that legitimate social media/digital agencies have in India. The irony is that many of the pages they join may already have a legitimate agency working hard to build a worthy community using relevant and interesting content…but, bowing to internal pressure, the client may have contracted a snake-oil agency to bump numbers. Result? The legitimate agency’s effort in community building gets severely impacted by the sudden influx of people with no friends, no profile picture and most importantly, no engagement or intent of purchase. That is the crux, actually. A Facebook community is something we sell to our clients, after doing thorough homework on the need for one, as a place to gather relevant people online and build on two factors – purchase consideration and purchase intent. The former is done using consistently relevant content and an interesting narrative to communicate the client’s story. The latter is activated using appropriate offers/freebies and sharing exclusive information to make the community feel special. A sudden influx of fake profiles topples all percentages within our legitimate community building efforts and suddenly, our effort seems to be reaching and impacting much lesser fans than what it should be! 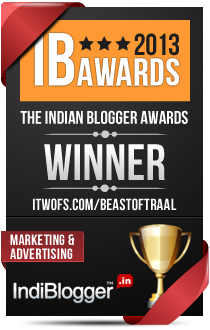 @dina: @beastoftraal @twilightfairy @prolificd – and the industry sits and watches quietly?? why aren’t we exposing THIS scam too??? …I really didn’t have much to say! Chances are…as long as there are clients who need ‘numbers’, the snake-oil social media agency committing to getting fans will survive…and thrive. After all, it is just an extension of what happens to political rallies in real life, in India. Crowds are gathered not based on ideologies or party relevance, but on the promise of money and a meal! For clients, one strong reason to not go for an agency is to see how they respond when you intentionally pose the ‘cost per fan’ question. If they answer in the affirmative, you know what to do. The fact is there are enough good and legitimate agencies to help brands make prudent use of social media tools and the Indian market is big enough for all these players. It is the sneaky, fly-by-night agencies that spoil the game…but anyway, we (and clients) have at least one confirmed way to identify them now…pop them the ‘cost per fan’ question! ‘FAKE’ picture courtesy: Paul G via Flickr. Why is the Air India fiasco video terribly bad PR, but its equivalent online, completely routine? The audacity of assumptions – Facebook’s and ours!